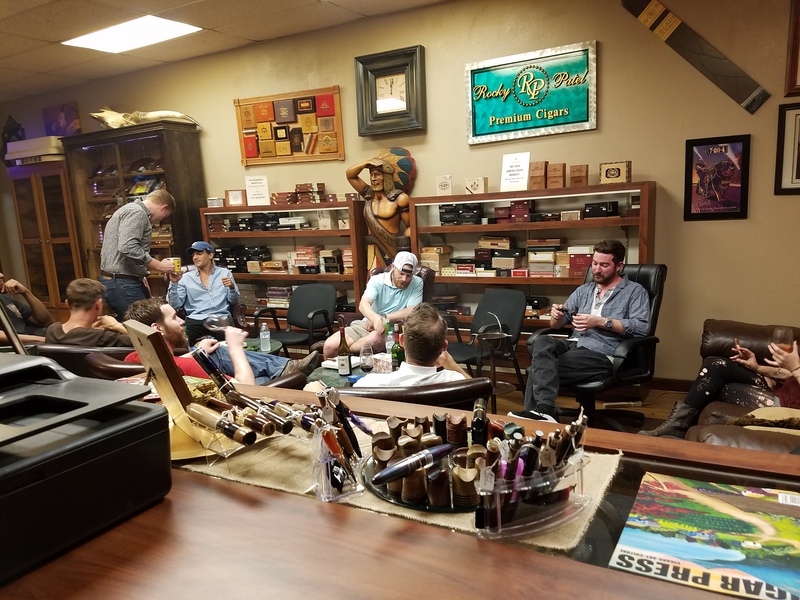 The open smoking lounge is a relaxing place to sit back and watch your favorite sports show or TV show on one of our two large screen TVs. In addition to our leather couches and recliners, we also have a well stocked drink station with a selection of non alcoholic cold beverages. 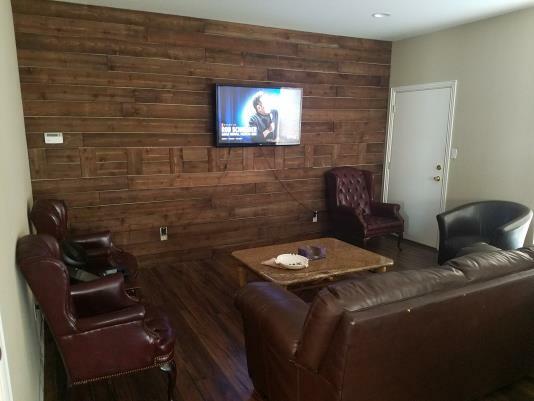 In the Lounge, we offer cable TV, Netflix, Amazon Prime, cold beverages and free Wi-Fi. 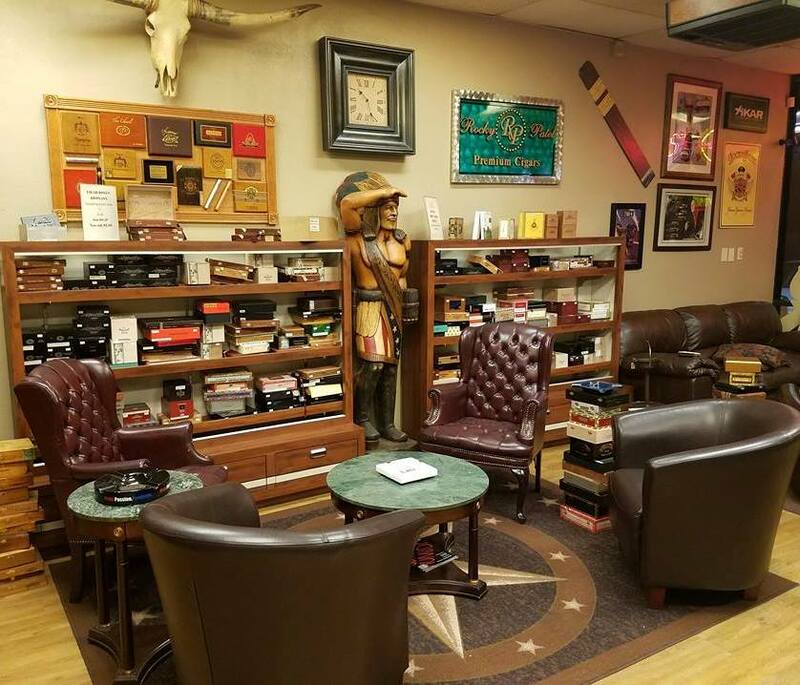 Enjoy smoking your cigars relaxing in our leather couches in refreshing air conditioned lounge, out of the hot Texas weather. We offer private lockers for a reasonable fee. One of our two leather couches sitting area. One of our two leather couches sitting area for watching TV. An outside view of our lounge at night with a large indoor smoking area. 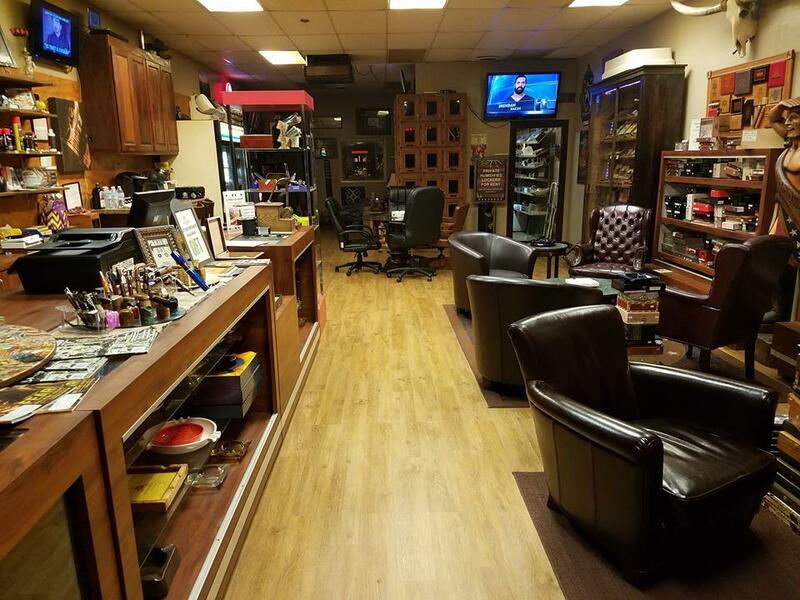 Enjoy our spacious indoor smoking lounge. 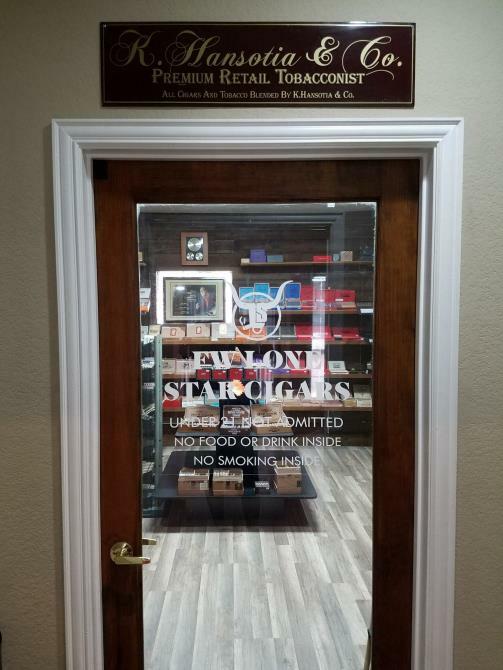 Great people and friendly smoking atmosphere. 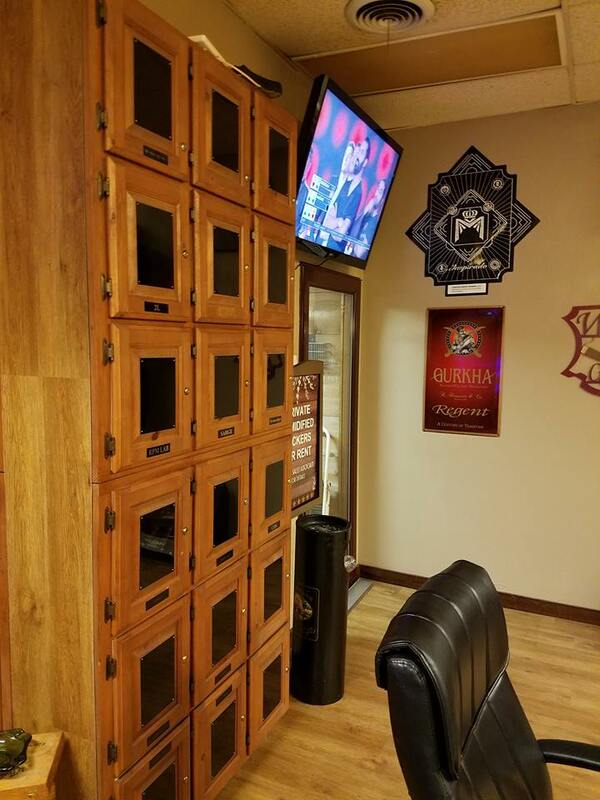 Store your premium cigars in one of our humidity controlled private lockers for a reasonable annual fee. We offer two levels of private locker rental Premium and Basic! Basic Level TBA annual fee and 5% discount on all of our products. Premium Level TBA annual fee and 10% discount on all of our products. Stop and visit with our sales staff for pricing and availability! Our Private lockers are some of the best, value priced lockers in the Ft Worth Area!